During the early 1980s I decided to write my first horror novel—working title, The Modoc Well. The story takes place in northern California, near the Oregon border, and involves a demon suggested by the mythology of the Modocs, a semi-nomadic indigenous People who for centuries roamed that area of the two states. (Bantam ultimately published the novel in 1991 as The Well, and I republished it a couple of years ago under its original title.) 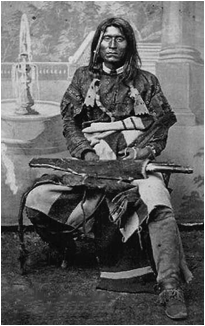 Since the first few chapters would take place during the 1850s, I did my due diligence as a professional writer and undertook a great deal of research on the Modocs, a tribe about which I knew little. I thought that my interest in doing this story might wane after I finished the horror novel. On the contrary, it would simply not let go. I wanted to do another horror novel, but by the early eighties the market for horror had already peaked and was now in decline. Besides, I could not stop thinking about the Modocs, and while I knew that it would be a massive undertaking, I began more intensive research in advance of beginning the project. But what approach to take? I did not want to write another history—there were a number of them in print, published by small presses with little distribution or sales. Besides, I was—and always will be—a novelist, so fictionalizing the story was a no-brainer. An easy decision, to be sure, considering that some remarkable “characters” involved in the history had been revealed during my research. I just needed to bring them to life. Good question. To begin with, I held a full-time job and had three young daughters, limiting my time. Second, back then I wrote my books on an old electric typewriter, a slow process. And third, my initial draft of what was then called Dreams of Stone numbered 240,000 words. That is not a misprint. Needless to say, just writing it took a few years. Winema and Frank Riddle, with son Jeff and other Modoc warriors. Then came some family issues (you know what kind; Tammy Wynette sang about it and spelled it out), which stopped me from writing for a couple of years. Then came a short-lived run of success, in which I published a couple horror novels with Bantam and three science fiction/satire novels with Berkley (though I continued to tweak the Modoc novel). Then came my self-imposed seventeen-year hiatus from writing (still tweaking, but minimally). 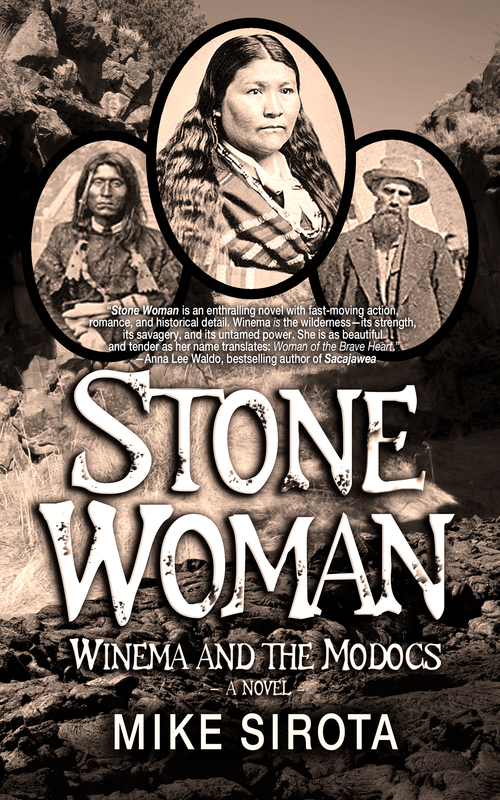 Finally, the last four years, during which I published three new novels and did some major serious tweaking on what I now called Stone Woman. I “tweaked out” 90,000 words, the length of an average novel, getting it down to a manageable (for a historical) 150,000 words. And now, at last, it’s time to LET IT GO. Despite the overview I gave you here, this is an incredibly multi-layered story that oftentimes lends credence to the saying, Truth is stranger than fiction. I added a few characters, and inserted dialogue that may or may not have been spoken. Otherwise, Stone Woman offers a real look into the culture of a little-known People and tells of their courageous efforts to defend the life they had always known. I hope that you enjoy it. The eBook is now available on Amazon Kindle; the paperback will follow. Hearing stories that express such passion are so inspirational. I can only imagine the satisfaction you must feel at finally releasing your “condensed” version 🙂 of the original manuscript. 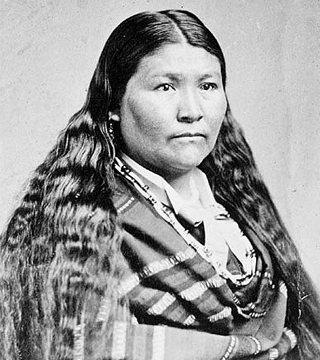 I know you’ve been a champion of the Native Americans for a long time. Having read “The Modoc Well”, I’m really looking forwarding to reading a more in-depth book about the (more or less) ‘real’ lives of these people. I’ve already downloaded it and know what I’ll be reading this weekend. Thanks, Kate. I hope you enjoy it. I am proud of this one.